Yeah, we said FREE. If you need a 3d Printed Custom Impression Tray for your Denture Prosthesis we offer the tray for FREE with the Denture Prosthetic Restoration. 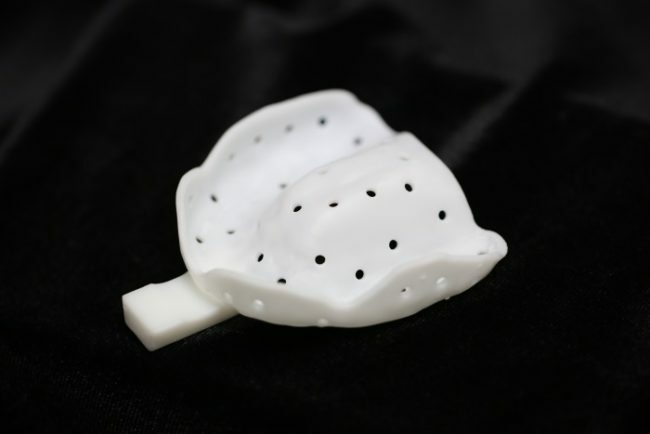 3D Printed Custom Impression Trays are the most accurate trays you will get for your Prosthesis. These custom trays are printed out of a white based material.